Here’s the perfect little Indian headdress for your birthday pow-wow. 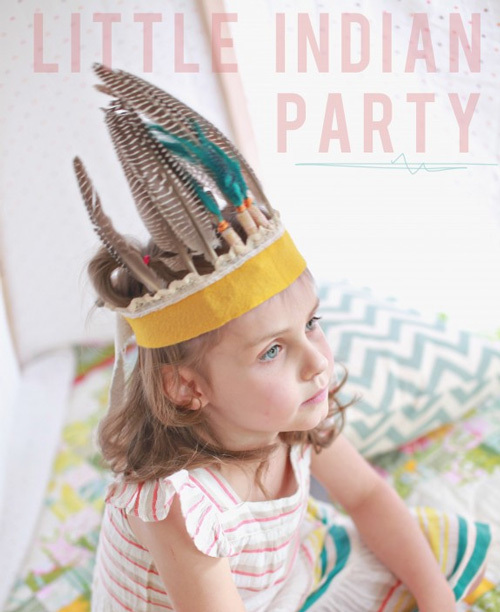 Head over to Dear Lizzy for details on the party hat and more from the amazing little Indian party she threw for her daughter. You can never go wrong with an old-fashioned newspaper hat. 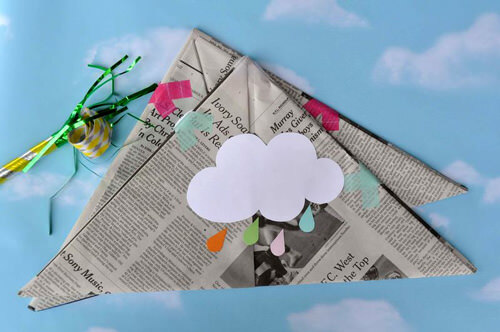 This DIY version from Curly Birds adds a super fun cloud theme to the mix. 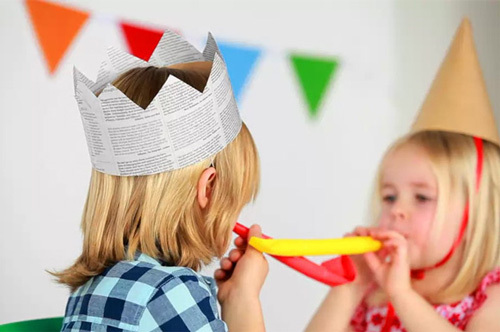 This newspaper crown is simple but totally awesome. Visit At Home with Kim Vallée for details. 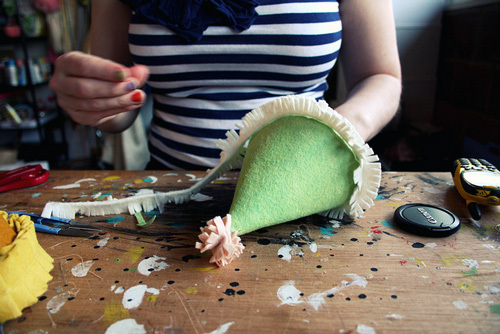 Here’s a lovely felt birthday hat tutorial from Princess Lasertron. I love the soft color combinations. 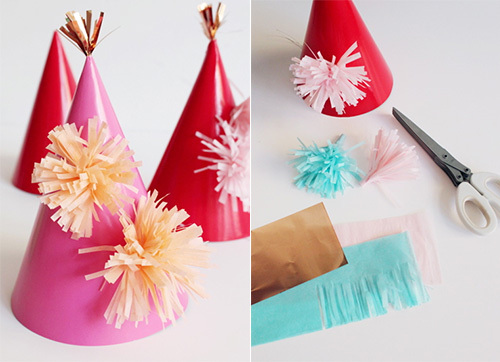 These DIY party hats from Opening Ceremony pack a festive sparkle with paper accents. So fun! 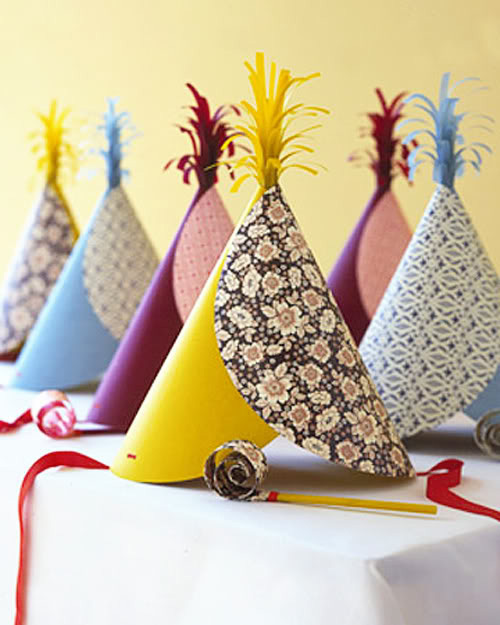 These festive party hats add a touch of sophistication in the details. Visit Martha Stewart for the tutorial. 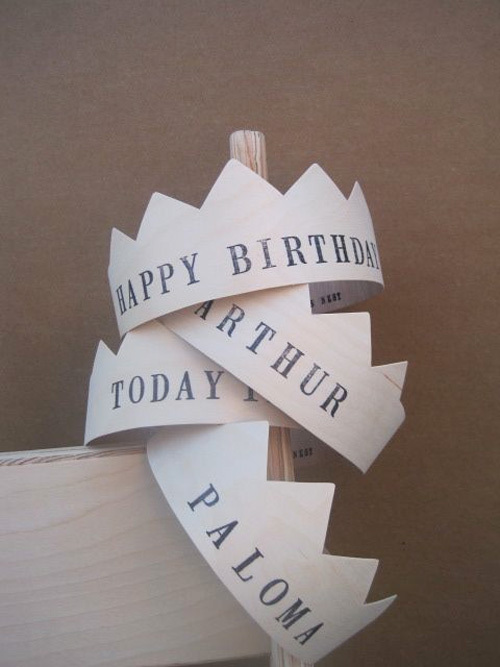 I love these wooden party crowns. Head over to A Gift Wrapped Life for the tutorial. 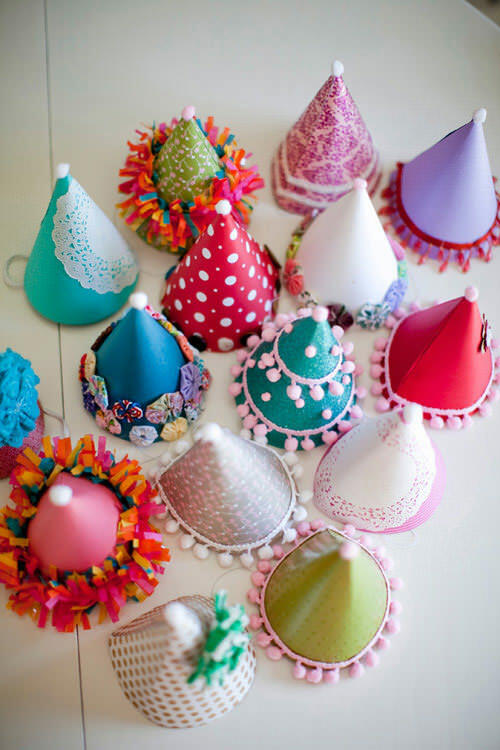 Lovely handmade party hats by Shannon Leigh Anderson. Visit The Sweetest Occasion for more info. Oooooh, party hats. You know I’m there! I love the feathers one by Dear Lizzy. It reminds me of the paper play ones that Merrilee at Mer Mag created for Babiekins Magazine. O.K., as a Native American myself, I’m going to climb down off my extremely high Pinto and say that I am not in the least offended by a “Little Indian” party. Hey, at least the culture is being acknowledged instead of shoved under an “Indian” blanket somewhere. You don’t see Queen Lizzie getting all huffy when someone wears a party crown, or the Pope stomping his foot when a kid dons a miter hat at New Years. I have seen so many different types of menorahs (even made from TP rolls) and never heard a peep from Jews about it. So, let’s just unbraid our hair for a bit and remember that being over-the-top PC is just as bad as being bigoted.